If any player should wish to transfer to another team, they should contact the Chairman immediately who will notify the appropriate Captains. No transfers can be made after the first half of the playing season has expired. The League Trophy will be played for on a points basis with one point to be awarded to the winning team of each match night. In the event of a tie at the end of the season, legs won will count. Games to be played as follows: Gallon, Three Doubles, Six Singles, in this order. The dealer deals five cards to each player plus two to the box. Each player discards one card into the box. Play continues. Best of three legs. Each double play one leg on the normal playing board. One point to be awarded per leg won, i.e 2 - 1 , 3 - 0. Losing team to pay £3 to winning team. In the event of a draw at the end of the season, one gallon game to be played off on finals night. The Trebles round robin - the dealer will deal five cards to each player except himself. Each player will discard one card to the dealer who will then make himself a hand from the five cards and discard one card to the bottom of the deck. Best of three legs. Best of three legs on finals night. The Denis Moores Trophy (Round Robin) - Singles as in Rule 9 above except runs are in all directions, i.e 2,5,3,4 scores four holes etc. Players must have played at least 60% of all matches to qualify. Wherever possible, winners from the four venues for Singles, League Doubles, Mixed Doubles should arrange a play-off prior to finals night so that only two teams go through to the final in each competition. Example: Players A & B score a maximum of 7 wins each = 847 points. Player B is the winner as the difference between the two scores is higher. You get one hole for the last card of each hand, regardless of whether or not it adds up to fifteen but not if it adds up to thirty one. 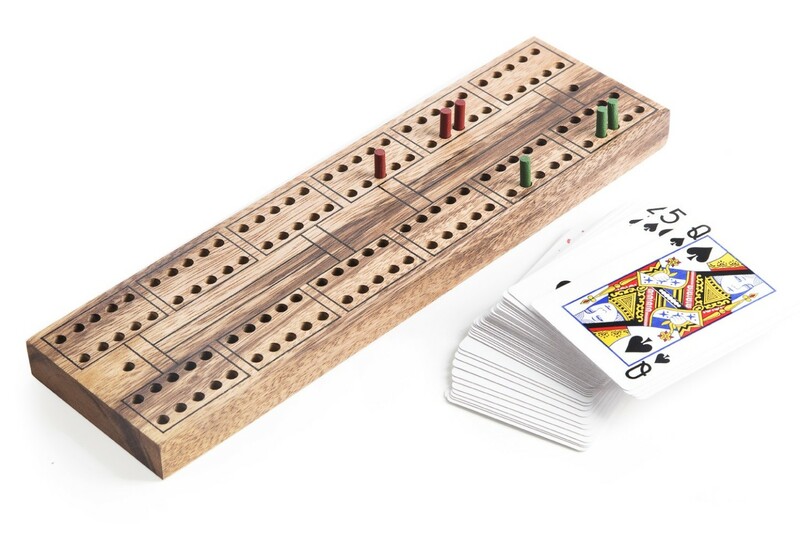 All other cribbage practise applies (i.e two for turning a jack at all times, one if holding a jack in your hand and it is the same suit as the turned up card, plus flushes). All names to be drawn to decide order of play and surnames plus initials to be shown on the result card. Also please use "Mrs/Ms where two players have the same name / initial. First two names drawn from each side form the first pair and so on. In the event of a team not turning up without prior notification of 24 hours, a 5-0 result will be awarded to the team present plus two Gallon legs. The defaulters nil. In the event of a team pulling out of the league, all results of the games played will be cancelled. Players are requested to be of good behaviour at all times especially when visiting other establishments so as to maintain a good name of the league.